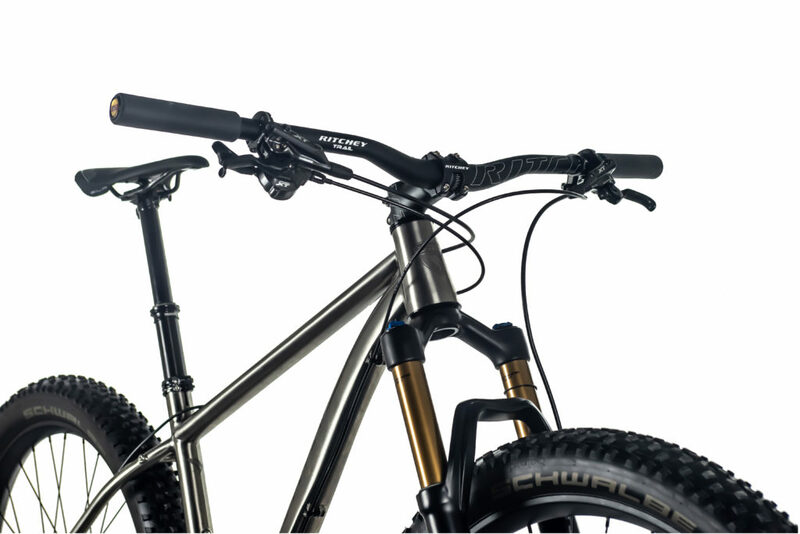 On-trail, off-trail or completely lost, the versatile Pilot LOCUM is a mountain bike that isn’t afraid of adventure. 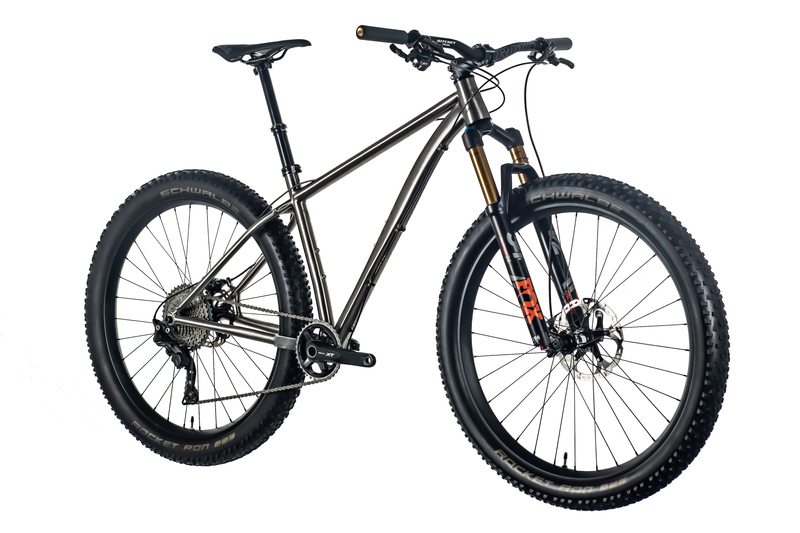 Rollin’ on 650B plus tires to enjoy levels of traction and comfort that will blow you away. Or switch to fast rolling 29er wheels and make yourself Strava King of the Mountain on your local trail. If you develop a sudden urge to get away from the daily hassle and stress, the LOCUM is your partner. The rack mounts come in handy when you feel like discovering the world. 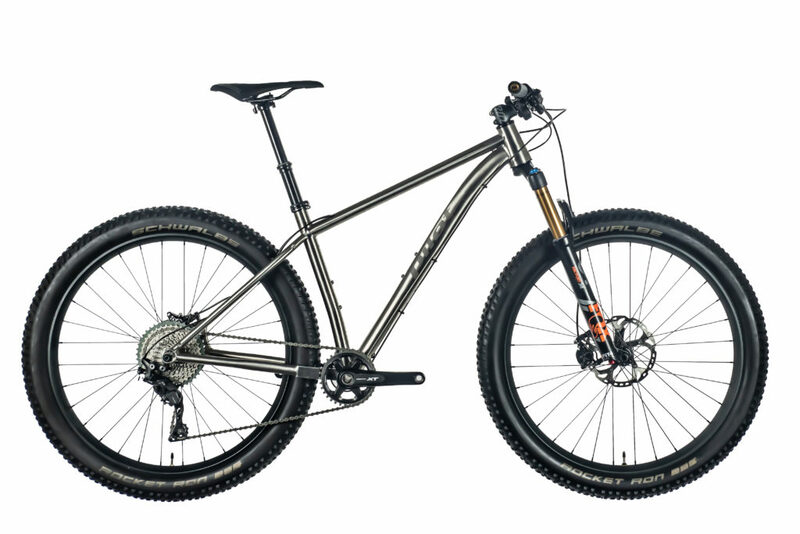 The LOCUM will be delivered with a fine, hand built OHR wheel set, a superb Shimano XT drive train and the sturdy, test winning Fox 34 fork with 120 mm of plush travel. Whatever the day, whatever the weather. Your Pilot makes every day feel like an easy Sunday morning. Leave your bicycle tools at home, because the Pinion gearbox does not give up easily. 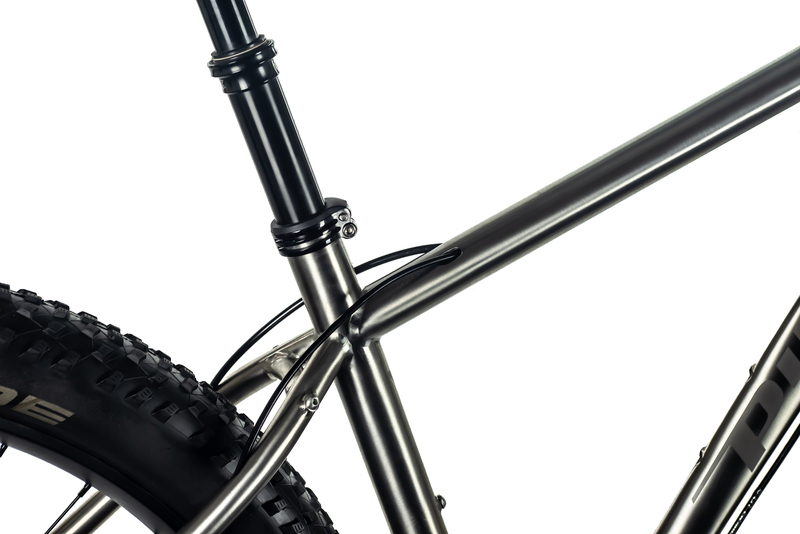 Just enjoy a care free ride on a custom made titanium bike, or on one of our well-known models. You decide, you’re the titan. Schwalbe Rocket Ron ADDIX speed 27.5" x 2.6"
Tires up to 3.00 "